Skolen i digital utvikling 12. - 13. november 2015! Fortsatt ledige plasser på "Skolen i digital utvikling" på Lillestrøm 12. og 13. november. Jeg skal dit. Pasi Sahlberg og Trond Giske kommer. Kommer du? Course Apps: An NMC Horizon Project Strategic Brief was commissioned by Adobe Systems to explore the emergence of new forms of instructional resources, known informally as “course apps” — special mobile applications with functionalities that promise to redefine the category. The report will look at the evolution of the key features of course apps — mobility, interactivity, engaging design, and integrated analytics — and showcase how course apps are sparking new thinking in higher education about the next iteration of digital learning resources. What does redesigning schools and schooling through innovation mean in practice? How might it be brought about? These questions have inspired an influential international reflection on “Innovative Learning Environments” (ILE) led by the OECD. This reflection has already resulted in publications on core design principles and frameworks and on learning leadership. Now the focus extends from exceptional examples towards wider initiatives and system transformation. The report draws as core material on analyses of initiatives specially submitted by some 25 countries, regions and networks. It describes common strengths around a series of Cs: Culture change, Clarifying focus, Capacity creation, Collaboration & Co-operation, Communication technologies & platforms, and Change agents. 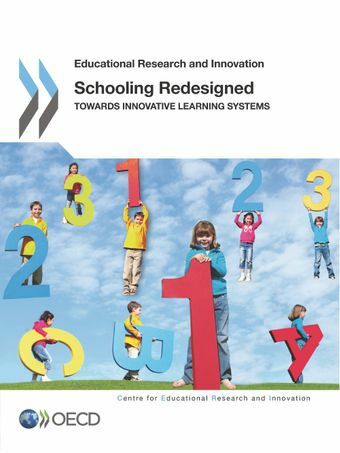 It suggests that growing innovative learning at scale needs approaches rooted in the complexity of 21st century society and “learning eco-systems”. It argues that a flourishing middle level of change around networks and learning communities provides the platform on which broader transformation can be built.